Secrets Akumal Riviera Maya is an adults-only, beachfront resort boasting Unlimited-Luxury in beautiful Mexico. 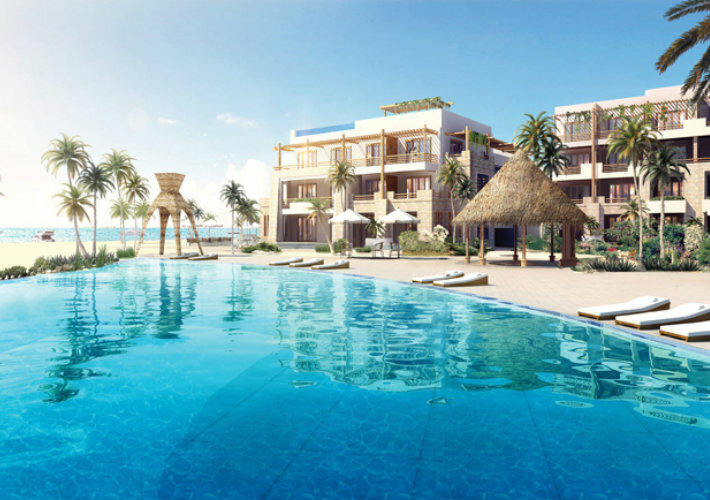 Positioned along the white-sand beaches and turquoise waters of Akumal, this upscale resort features many restaurants, an array of activities, exceptional entertainment options, an expansive infinity pool and much more. Ideally located in the heart of Riviera Maya, Secrets Akumal is a tropical haven for adults seeking an adventurous and luxurious vacation on a white-sand shore. Each luxurious suite is fully equipped with a king-size or two double beds, a private terrace or balcony, in-suite Jacuzzi for two, and complimentary mini-bar. Most rooms offer exotic views, and all are staggered to showcase the exotic landscape, pools and ocean from your room. Nine restaurants, six chic bars and lounges, live nightly entertainment, a state-of-the-art fitness center and a plethora of recreational activities are just a few of the numerous amenities Secrets Akumal offers guests. Boasting an Unlimited-Luxury concept, those visiting this resort will have relaxation at their fingertips. The indulgent Secrets Spa by Pevonia is a world-class spa spanning over 18,000 square feet, where you can expect to be treated to dozens of pampering choices. Experience pure relaxation through a combination of the latest hydrotherapy among others. For those seeking a higher level of luxury, join the preferred club and receive an upgraded suite, access to an exclusive lounge, special concierge services, enhanced amenities and more. Call us to learn more.